Failure to reconcile progressive cultural practices that advance association with accepted international human rights framework. International role players and development partners. MAKE every efforts to engage the identified stakeholders for a broad-based effort to strengthen the right to freedom of Association and peaceful Assembly in the SADC region. REMAIN vigilant against threats to freedom of Association and Assembly. We commit to collaborate and provide support to each other through individual and joint efforts at the national and regional levels to protect and promote these rights. The International Center for Not-for-Profit Law (ICNL) and the Human Rights Institute of South Africa (HURISA) hosted a one-and-a-half day strategic planning workshop on 12-13 April, 2018 in Johannesburg, South Africa. 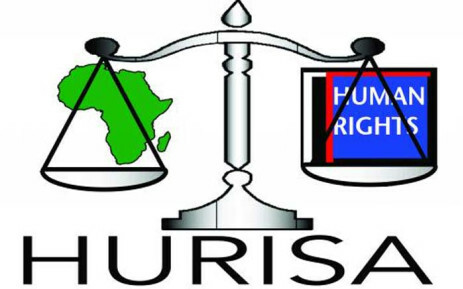 HURISA and ICNL participated in and supported the development and ultimate adoption of the African Commission on Human and Peoples’ Rights Guidelines on Freedom of Association and Assembly in Africa. This workshop was the first at regional level to popularize the Guidelines and develop strategies for their implementation as a means of strengthening enjoyment of SADC citizens’ Association and Assembly rights. Corlett Letlojane: Executive Director of Human Rights Institute of South Africa. Study Group Member on Freedom of Association and Assembly in Africa of the African Commission on Human and Peoples’ Rights: Focal Point SADC Region for NGO Participation in Sessions of the African Commission on Human and Peoples’ Rights: Email:corlett@hurisa.org.za. Tel: +27 11 492 1103. Civil societies from Angola, Botswana, Democratic Republic of Congo, Lesotho, Malawi, Mozambique, South Africa, Swaziland, Zambia and Zimbabwe, working on human rights, democratic governance & development, women and youth empowerment, legal aid, and litigation to advance the rights of freedom of association and assembly in Southern Africa.